Photo taken from video footage in St Helena on October 20, 2018. 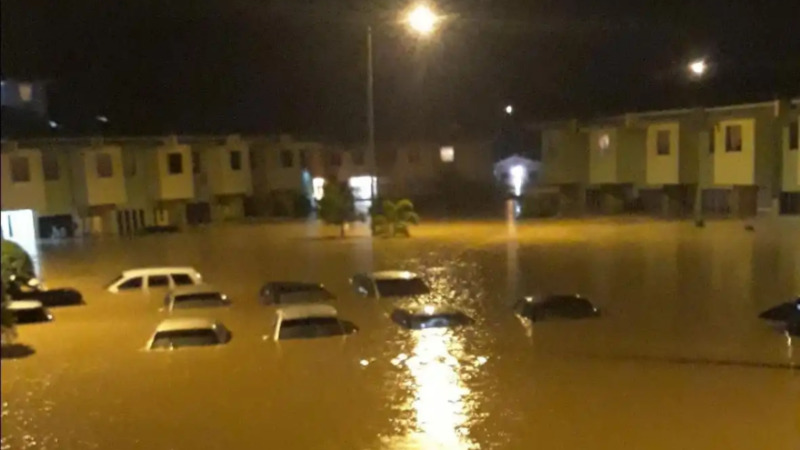 Flooding almost covered homes in the area, trapping residents who stayed in the upper levels of neighbours' homes. The streets of St Helena were piled with the tattered remnants of residents’ prized belongings on Wednesday. Cupboards, beds, sofas, children’s toys, and gutted shells of cars were seen outside houses where residents continued to wash and clean the residual mud from their homes. One woman who lives with her husband and two children in St Helena told LoopTT she fled to an unfinished house across the street when the water began to rise, using a piece of tarp to shelter from the rain as the upstairs structure did not even have walls. The family remained trapped for overnight and into the following day until emergency responders arrived in boats to take them to safety. 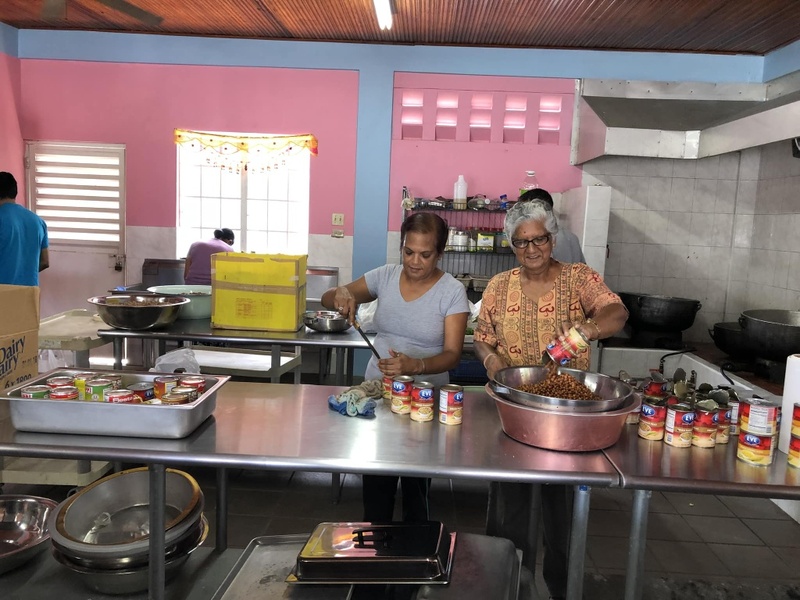 LoopTT accompanied local NGO Love All, Serve All, a charity organisation that prepares meals every day for the homeless in Port of Spain, to Kelly Village and St Helena on Wednesday as they continued their relief efforts there and in other parts of Trinidad. 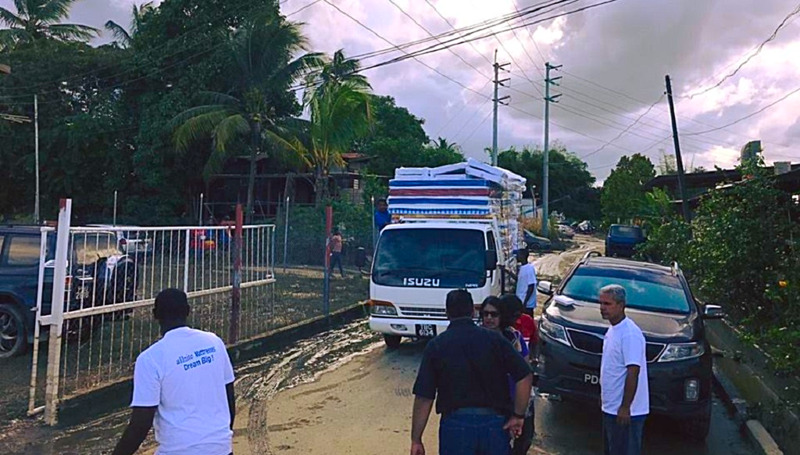 When news of the flooding came in, group members rallied their resources and began donating hundreds of meals, cleaning supplies, clothing and more to needy homes across Trinidad and Tobago. Group members Paul Daniel-Nahous, Dale Abraham and Russell Chan visited residents in the St Helena community, giving out clothes, hot meals, food hampers and other items. Another resident who also lives in St Helena said the small home she and her husband had built is now completely destroyed. “But when I looked out I saw cars piled up by the side of the road, meaning they couldn’t pass there anymore. 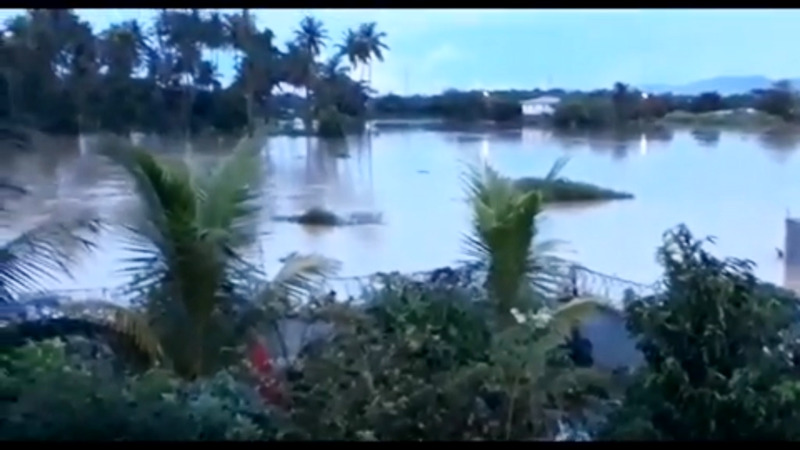 During the day we kept an eye on the water level but by 9:00 pm the water just started to come from all directions and began to fill the house,” she said. She called a neighbour whose home consisted of two levels. The neighbour rescued five neighbours in the area from the flood waters as they sheltered in the upper floor of their home during the night. She described their perilous trek to the neighbour’s house as the waters turned from a pool into a sea. “We kept seeing the water rising. When we saw how high the water was, we knew there was nothing left. I don’t have a home right now, the floor is gone, the walls were gypsum so they’re mouldy already, it’s all gone,” she said. She said there were three other men who tried to brave the flood waters to get out but were forced to hold onto tree trunks for hours until they could be rescued. She said in terms of drainage, the houses in the area don’t have an underground drainage system but drain into nearby fields. “The land is always saturated so when the rain falls, it can’t absorb any more. So we have to run away. If we had remained in the house, I would have drowned. The water was as high in seven feet in some places,” she said. Fern, who is currently staying at her brother’s house, said she is not sure what she will do next, but she is grateful for her family’s support. “I feel thankful that I have my family for support. When the Coast Guard came, they offered to take us out and I said I wanted to be with my family. We are just lucky to be alive,” she said. Members of Love All, Serve All, Alderman Paul Daniel-Nahous, Dale Abraham and Russell Chan, have been working constantly since October 19 to bring supplies from sponsors to residents who need them most. Group member Dale Abraham was one of the first at the scene in Kelly Village after trapped residents sent out calls for help. Abraham said he and others were able to procure a boat to help rescue over 150 people between Friday night and Saturday morning. 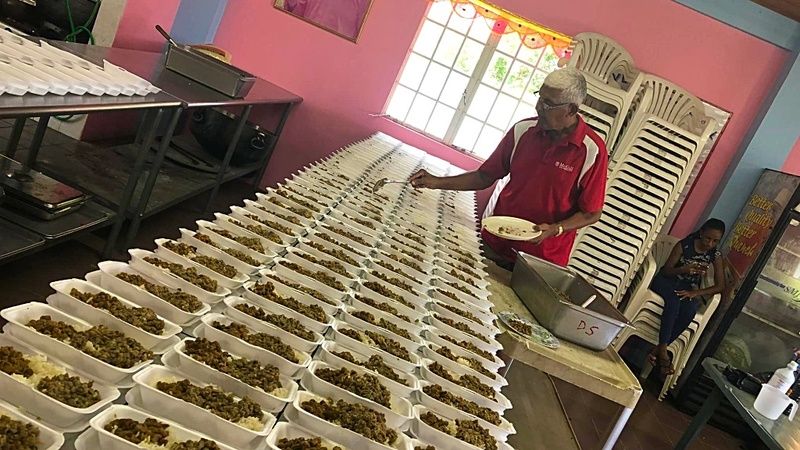 The organisation is known for providing hot meals for homeless persons in Port of Spain every day, which they have been doing for almost two years with the help of private sponsors. Nahous said corporate sponsors have contributed immensely, with companies like Blue Waters donating up to 100,000 bottles of water for relief efforts. The group prepares up to 1,000 boxes of food per day for affected families. Other companies continue to donate items such as cleaning supplies, children's clothes, baby food, rubber boots and more. 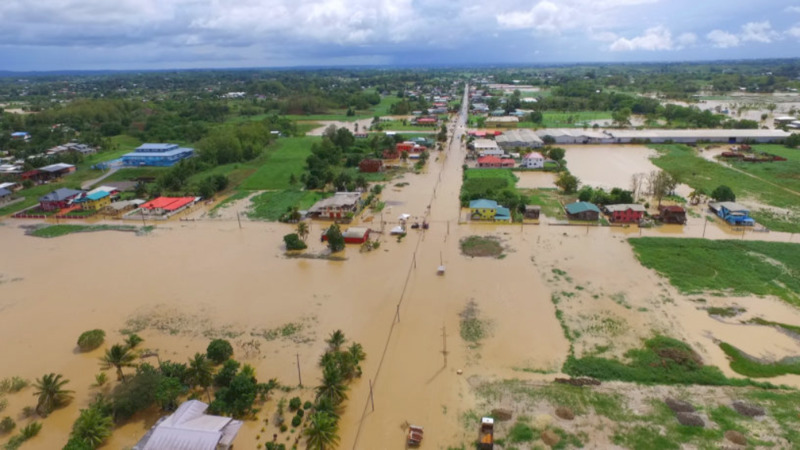 Other private citizens, such as company owners Christian and Rachel Jardine, have also been coordinating relief efforts to affected homes in their area. Other groups carrying out relief work include Habitat for Humanity T&T, F.E.E.L. T&T, and many more.